Today we take a look at an anime that’s more fun than serious. Let’s talk about BlazBlue: Alter Memory! 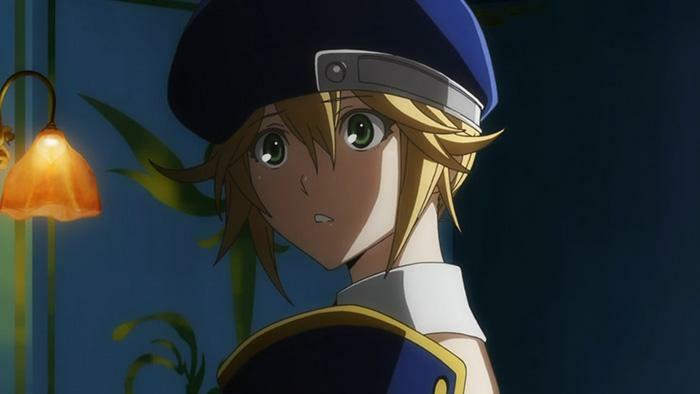 BlazBlue is a fighting game that I’ve never played or even heard about till I watched this anime. I literally got halfway through the 1st episode and noticed that it seemed more like a video game than the usual anime story. Then when the ending music played which sounded exactly a jingle for a character selection menu, I was sure of it. Well, what is this about? The story is mainly based on our protagonist, Ragna the BloodEdge and his constant fights due to the EXTREMELY high bounty on his head and the fact that he doesn’t care to hide because of it. Why, they didn’t just leave his name at Ragna, I’ll never know but such is the world of fighting games. Even though you mostly see him throughout the series, there are several other characters that all have stories as well but of course, you’re not told about all of them, only a handful. I like the artwork of the characters more here than in my last review. Some of my fav characters from this series are Hakumen, Tao, and Rachel Alucard (why does HellSing come to mind when I say her name?) along with 1 or 2 others. The world itself is nothing to write home about as far as art is concerned but once again in fighting games, art is indeed quite nice on the background but most of the effort is always put into the characters and their abilities as they fight across the screen. What is the environment? Where is our story based? The world is set in December of 2199, in the 13th Hierarchical City of Kagutsuchi. Everything is based on an energy called Seithr due to scientist opening a gateway to another world filled with it which they call The Boundary. Now due to a few other details, the world pretty much works like a program that a special group of observers known as the Takama-ga-hara can change as they feel. In other words, if something happens in the world that they don’t like, they can rewind it and change it. Creepy. Now with all that being said, this story is pretty straight forward and not that great really. To me, it only serves one purpose and that is to keep you interested in-between fights. The story was just good enough to keep me watching, waiting on who’s gonna square off next. As you can imagine the battles are awesome and frequent. Now combine that with all the humor which almost completely came from Tao and her craziness and you got yourself a fun anime that does a little more than simply take up your time. There wasn’t much of any drama but there are a few tears here and there. You can imagine with only 12 episodes to work with they decided they didn’t have time for long dragged out scenes with 2+min of crying (looking at you Shingeki No Kyojin). Was it good? Was it worth it? Hell yes! Like I said, this is definitely not the best anime around as far as the story is concerned but if you’ve played the game than you’re not watching it for that anyways. You just want to see your favorite characters brought to life on the screen and this anime delivers. For me, who has never played the game, I still find this anime good but not great.